Binding Agreement. These Terms constitute a binding agreement between you and Bottleshake, Inc. and its affiliates, subsidiaries, and the website located at “Bottleshake.com” (“Bottleshake” “we,” “us”). “You” and “users” shall mean all visitors to the Bottleshake Service. You accept these Terms each time you access the Bottleshake Service or Bottleshake.com. If you do not accept these Terms, you must not use the Bottleshake Service or Bottleshake.com. Revisions to Terms. We may revise these Terms at any time by posting an updated version to this web page. You should visit this page periodically to review the most current Terms, because you shall be bound by them. Your continued use of the Bottleshake Service after a change to these Terms constitutes your binding acceptance of these Terms. Children. No part of the Bottleshake Service is directed to persons under the age of 18. IF YOU ARE UNDER 18 YEARS OF AGE, PLEASE DO NOT — USE OR ACCESS THE BOTTLESHAKE SERVICE AT ANY TIME OR IN ANY MANNER. Furthermore, if you are under the age of 21, you shall not have access any venues that allow drinking and serve alcohol through the Bottleshake Service. The terms “post” or “posting” as used in these Terms shall mean the act of submitting, uploading, publishing, displaying, or similar action on the Bottleshake Service. The Bottleshake Service is defined as any website, mobile application, or Internet service under Bottleshake control, whether partial or otherwise, in connection with providing the services provided by Bottleshake. The Bottleshake Service provides a platform for individuals to meet and coordinate meetings with others in a nearby bar or café. Electronic Notices. By using the Bottleshake Service or providing personal information to us, you agree that we may communicate with you electronically regarding security, privacy, and administrative issues relating to your use of the Bottleshake Service. If we learn of a security system’s breach, we may attempt to notify you electronically by posting a notice on the Bottleshake Service or sending an email to you. You may have a legal right to receive this notice in writing. To receive free written notice of a security breach (or to withdraw your consent from receiving electronic notice), please write to us at feedback@bottleshake.com. The contents of the Bottleshake Service include: designs, text, graphics, images, video, information, logos, button icons, software, audio files, computer code, and other Bottleshake content (collectively, “Bottleshake Content”). All Bottleshake Content and the compilation (meaning the collection, arrangement, and assembly) of all Bottleshake Content are the property of Bottleshake and are protected under copyright and other intellectual property laws. License to You. We authorize you, subject to these Terms, to access and use the Bottleshake Service and the Bottleshake Content solely for the use of Bottleshake’s services, at our discretion. Any other use is expressly prohibited. This license is revocable at any time without notice and with or without cause. Unauthorized use of the Bottleshake Content may violate copyright, trademark, and applicable communications regulations and statutes and is strictly prohibited. You must preserve all copyright, trademarks, service marks, and other proprietary notices contained in the original Bottleshake Content on any copy you make of the Bottleshake Content. Bottleshake Marks. Bottleshake, the Bottleshake logo, and other Bottleshake product and service names are or may be trademarks of Bottleshake (the “Bottleshake Marks”). Without our prior written permission, and except as solely enabled by any link as provided by us, you agree not to display or use in any manner the Bottleshake Marks. Bottleshake Claims No Ownership. The Bottleshake Service may provide you with the ability to create or post content, which includes any messages you send to other users (“Your User Content”). Bottleshake claims no ownership over Your User Content. You or a third-party licensor, as appropriate, retain all copyright, patent, and trademark rights to any of the content you post on or send through the Bottleshake Service. You are responsible for protecting those rights. You also acknowledge and agree that Your User Content is non-confidential and non-proprietary. You Acquire No Ownership of Others’ Content. You understand and agree that you will not obtain, as a result of your use of the Bottleshake Service, any right, title, or interest in or to such content delivered via the Bottleshake Service or in any intellectual property rights (including, without limitation, any copyrights, patents, trademarks, trade secrets, or other rights) in the content. You Must Have Rights to the Content You Post. You represent and warrant that: (i) you own the content posted by you on or through the Bottleshake Service or otherwise have the right to grant the license set forth in these Terms, (ii) the posting and use of Your User Content on or through the Bottleshake Service does not violate the privacy rights, publicity rights, copyrights, contract rights, intellectual property rights, or any other rights of any person, and (iii) the posting of Your User Content on the Bottleshake Service does not result in a breach of contract between you and a third party. You agree to pay for all royalties, fees, and any other monies owing any person by reason of content you post on or through the Bottleshake Service. The Bottleshake Service contains content from users and other Bottleshake licensors. Except as provided within these Terms, you may not copy, modify, translate, publish, broadcast, transmit, distribute, perform, display, or sell any content appearing on or through the Bottleshake Service. If you believe in good faith that a notice of copyright infringement has been wrongly filed against you, the DMCA permits you to send Bottleshake a counter-notice. Notices and counter-notices must meet the then-current statutory requirements imposed by the DMCA; see http://www.loc.gov/copyright/ for details. Notices and counter-notices with respect to the Bottleshake Service should be sent to Bottleshake, Inc., feedback@bottleshake.com. Consult your legal advisor and see 17 U.S.C. § 512 before filing a notice or counter-notice as there are penalties for false claims under the DMCA. We do not represent or guarantee the truthfulness, accuracy, or reliability of content, posted by other users and third parties. You accept that any reliance on material posted by third parties or third-party service providers will be at your own risk. Defame, harass, abuse, threaten or defraud users of the Bottleshake Service, or collect, or attempt to collect, personal information about users or third parties without their consent. We reserve the right to suspend or terminate your account and prevent access to the Bottleshake Service for any reason, at our discretion. We reserve the right to refuse to provide the Bottleshake Service to you in the future. Perpetual licenses granted by you to Bottleshake remain in full force and effect. You are responsible for any claims, fees, fines, penalties, and other liability incurred by us or others caused by or arising out of your breach of these Terms and your use of the Bottleshake Service. Changes to the Bottleshake Service. We may change, suspend, or discontinue any aspect of the Bottleshake Service at any time, including hours of operation or availability of the Bottleshake Service or any feature, without notice or liability. User Disputes. We are not responsible for any disputes or disagreements between you and any third party you interact with using the Bottleshake Service. You assume all risk associated with dealing with third parties. You agree to resolve disputes directly with the other party. You release Bottleshake of all claims, demands, and damages in disputes among users of the Bottleshake Service. You also agree not to involve us in such disputes. Use caution and common sense when using the Bottleshake Service. Content Accuracy. 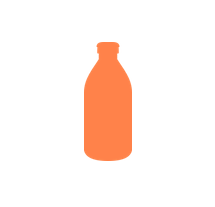 We make no representations about accuracy, reliability, completeness, or timeliness of any contents of the Bottleshake Service, including inventory availability at local businesses. Similarly, we make no representations about accuracy, reliability, completeness, or timeliness of any data from third-party service provider or the quality or nature of third-party products or services obtained through the Bottleshake Service. Use the Bottleshake Service at your own risk. Third-Party Websites. The Bottleshake Service may include links to third party websites and applications. You are responsible for evaluating whether you want to access or use them. We are not responsible for and do not endorse any features, content, advertising, products, services, or any other materials on other websites or applications. You assume all risk and we disclaim all liability arising from your use of them. We make no promises and disclaim all liability of specific results from the use of the Bottleshake Service. Released Parties Defined. “Released Parties” include Bottleshake and its affiliates, officers, employees, agents, partners, and licensors. YOU EXPRESSLY UNDERSTAND AND AGREE THAT: (A) YOUR — USE OF THE BOTTLESHAKE SERVICE IS AT YOUR SOLE RISK, AND THE BOTTLESHAKE SERVICE IS PROVIDED ON AN “AS IS” AND “AS AVAILABLE” BASIS AND THE RELEASED PARTIES EXPRESSLY DISCLAIM ALL WARRANTIES OF ANY KIND, WHETHER EXPRESS OR IMPLIED, INCLUDING, BUT NOT LIMITED TO, WARRANTIES AS TO PRODUCTS OR SERVICES OFFERED BY BUSINESSES LISTED ON THE BOTTLESHAKE SERVICE OR RESULTS THAT MAY BE OBTAINED BY MERCHANTS AS A RESULT OF LISTING INVENTORY ON THE BOTTLESHAKE SERVICE, IMPLIED WARRANTIES OF MERCHANTABILITY, FITNESS FOR A PARTICULAR PURPOSE, AND NON-INFRINGEMENT; (B) THE RELEASED PARTIES MAKE NO WARRANTY THAT (i) THE BOTTLESHAKE SERVICE WILL MEET YOUR REQUIREMENTS, (ii) THE BOTTLESHAKE SERVICE WILL BE UNINTERRUPTED, TIMELY, SECURE, OR ERROR-FREE, (iii) THE RESULTS THAT MAY BE OBTAINED FROM THE — USE OF THE BOTTLESHAKE SERVICE WILL BE ACCURATE OR RELIABLE, (iv) THE QUALITY OF ANY PRODUCTS, SERVICES, INFORMATION, OR OTHER MATERIAL OBTAINED BY YOU THROUGH THE BOTTLESHAKE SERVICE WILL MEET YOUR EXPECTATIONS, AND (v) ANY ERRORS IN THE SERVICE WILL BE CORRECTED; AND (C) ANY MATERIAL DOWNLOADED OR OTHERWISE OBTAINED THROUGH THE — USE OF THE BOTTLESHAKE SERVICE IS ACCESSED AT YOUR OWN DISCRETION AND RISK, AND YOU WILL BE SOLELY RESPONSIBLE FOR ANY DAMAGE TO YOUR COMPUTER SYSTEM OR MOBILE DEVICE OR LOSS OF DATA THAT RESULTS FROM THE DOWNLOAD OR — USE OF ANY SUCH MATERIAL. YOU EXPRESSLY UNDERSTAND AND AGREE THAT THE RELEASED PARTIES SHALL NOT BE LIABLE TO YOU FOR ANY DIRECT, INDIRECT, INCIDENTAL, SPECIAL, CONSEQUENTIAL, OR EXEMPLARY DAMAGES, INCLUDING, BUT NOT LIMITED TO, DAMAGES FOR LOSS OF PROFITS, GOODWILL, — USE, DATA OR OTHER INTANGIBLE LOSSES (EVEN IF BOTTLESHAKE HAS BEEN ADVISED OF THE POSSIBILITY OF SUCH DAMAGES), RESULTING FROM: (i) THE — USE OR THE INABILITY TO — USE THE BOTTLESHAKE SERVICE; (ii) THE COST OF PROCUREMENT OF SUBSTITUTE GOODS AND SERVICES RESULTING FROM ANY GOODS, DATA, INFORMATION OR SERVICES OBTAINED OR MESSAGES RECEIVED OR TRANSACTIONS ENTERED INTO THROUGH, FROM, OR AS A RESULT OF THE BOTTLESHAKE SERVICE; (iii) UNAUTHORIZED ACCESS TO OR ALTERATION OF YOUR TRANSMISSIONS OR DATA; (iv) STATEMENTS OR CONDUCT OF ANY — USER OR THIRD PARTY ON THE BOTTLESHAKE SERVICE; (v) YOUR RELIANCE ON CONTENT MADE AVAILABLE BY US; OR (vi) ANY OTHER MATTER RELATING TO THE BOTTLESHAKE SERVICE. SOME JURISDICTIONS DO NOT ALLOW THE EXCLUSION OF CERTAIN WARRANTIES OR THE LIMITATION OR EXCLUSION OF LIABILITY FOR INCIDENTAL OR CONSEQUENTIAL DAMAGES. ACCORDINGLY, SOME OF THE ABOVE LIMITATIONS IN THIS PARAGRAPH MAY NOT APPLY TO YOU. TO THE FULLEST EXTENT POSSIBLE BY LAW, OUR MAXIMUM LIABILITY ARISING OUT OF OR IN CONNECTION WITH THE BOTTLESHAKE SERVICE OR YOUR — USE OF BOTTLESHAKE CONTENT, REGARDLESS OF THE CA– USE OF ACTION (WHETHER IN CONTRACT, TORT, BREACH OF WARRANTY, OR OTHERWISE), WILL NOT EXCEED $100.00. You agree to defend, indemnify, and hold harmless the Released Parties from and against any claims, actions, or demands, including without limitation reasonable legal and accounting fees, alleging or resulting from (i) your use of or reliance on any third-party content, (ii) your use of or reliance on any Bottleshake Content, or (iii) your breach of these Terms. We shall provide notice to you promptly of any such claim, suit, or proceeding. These Terms constitute the entire agreement between you and Bottleshake concerning your use of the Bottleshake Service. Our failure to exercise or enforce any right or provision of these Terms shall not constitute a waiver of such right or provision. If any provision of these Terms is found by a court of competent jurisdiction to be invalid, the parties nevertheless agree that the court should endeavor to give effect to the parties’ intentions as reflected in the provision, and the other provisions of these Terms remain in full force and effect. The section titles and annotations in these Terms are for convenience only and have no legal or contractual effect. These Terms and the relationship between you and Bottleshake shall be governed by the laws of the state of California without regard to its conflict of law provisions. You and Bottleshake agree to submit to the personal and exclusive arbitration of any disputes relating to your use of the Bottleshake Service under the rules of the American Arbitration Association. Any such arbitration, to the extent necessary, shall be conducted in Santa Clara County, California. You covenant not to sue Bottleshake in any other forum.